Venture out of the city with trips to Haleakala Crater (in Haleakala National Park) and Iao Valley (in Wailuku). Spend the 6th (Sat) exploring the striking scenery along Hana Highway - Road to Hana. 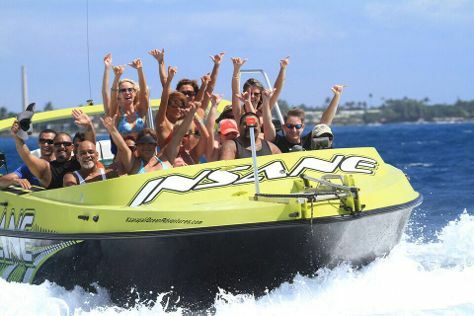 There's lots more to do: kick back and relax at Ka'anapali Beach, race across the water with Kaanapali Ocean Adventures, pause for some serene contemplation at Holy Ghost Mission, and kick your exploration up a notch at some of the top local zipline courses and adventure parks. To see ratings, maps, reviews, and other tourist information, refer to the Lahaina driving holiday planner. Vancouver, Canada to Lahaina is an approximately 12-hour combination of flight and bus. You can also do a combination of shuttle, flight, and bus; or fly. The time zone difference moving from Pacific Standard Time to Hawaii Standard Time is minus 2 hours. Traveling from Vancouver in April, expect Lahaina to be much hotter, temps between 31°C and 24°C. Wrap up your sightseeing on the 8th (Mon) early enough to drive to Hana. Kick off your visit on the 9th (Tue): admire all the interesting features of Hana Highway - Road to Hana. Get ready for a full day of sightseeing on the next day: take in the exciting artwork at Hana Coast Gallery, pause for some serene contemplation at Wananalua Congregational Church, then get impressive views of Haleakala Crater, and finally shop like a local with Laura Mango Art Gallery. To see where to stay, photos, traveler tips, and more tourist information, use the Hana road trip site . Drive from Lahaina to Hana in 2.5 hours. Alternatively, you can do a combination of bus and car; or do a combination of bus and taxi. In April, daily temperatures in Hana can reach 34°C, while at night they dip to 23°C. Finish your sightseeing early on the 10th (Wed) to allow enough time to travel back home.